I am impressed by the illustrations for the Protein Data Bank ‘Molecule of the month’, e.g. 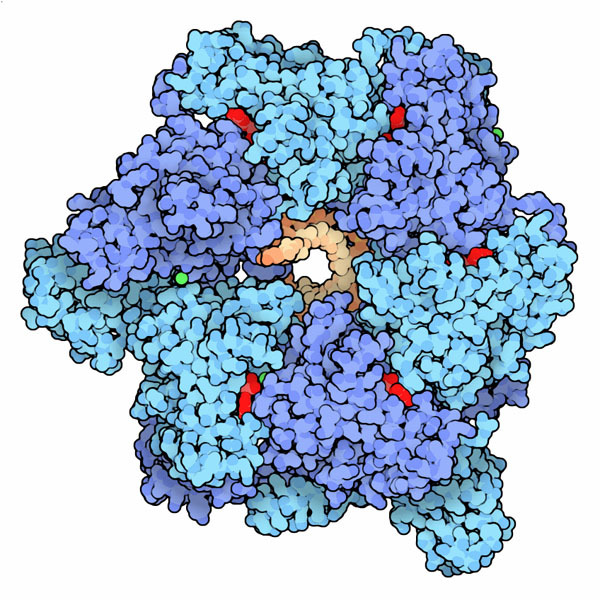 the gorgeous image of DNA Helicase below. Does anyone know how they were made or how one might create something similar? Those (really cool) pictures are created by David Goodsell using custom-written software. 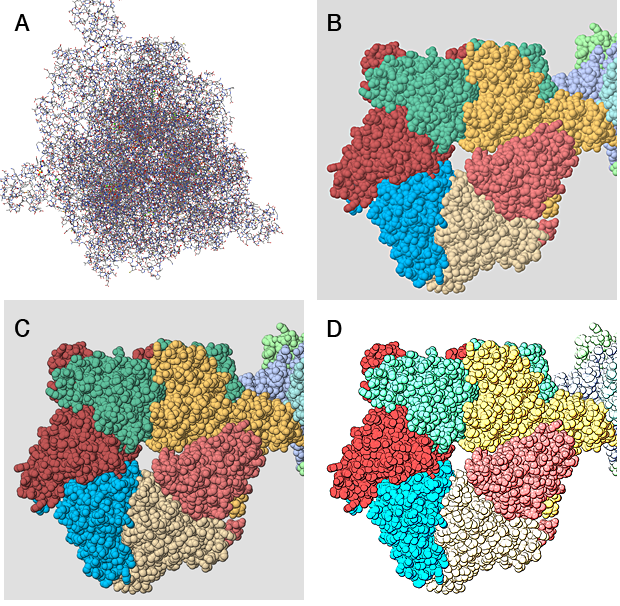 PDB: How do you create the illustrations? Goodsell: Most of the pictures are created with a computer program that I developed back when I was doing postdoctoral work with Dr. Art Olson here at The Scripps Research Institute. I've been using this style of illustration--with flat colors and black outlines--for about 10 years now. I like the way that this style simplifies the molecule, giving a feeling for the overall shape and form of the molecule, but at the same time you can still see all the individual atoms. On the last page of each Molecule of the Month--"Exploring the Structure"--I always use RasMol, to give visitors an idea of the kinds of pictures that they can create themselves with off-the-shelf software. There are good tools around if you want to replicate that look. Although it may take a bit of tweaking (and possibly programming) I would surely give PyMOL and Bioblender a try. I don’t actually consider these pictures either “gorgeous” or “cool” — they are not to my taste — and I’m not really sure that the question is about biology, but as it has resurfaced after almost 5 years I thought I’d give an answer which explained how one might create something similar, rather than how they were actually made. Get the PDB file I want to work with from the Protein Data Bank. Drag it into the JMol window when the molecule loads in wireframe mode as in (A), below. Give a series of commands such as the following to get a spacefilling image (B) in colours other than CPK (you can specify the colours of the chains if you wish) and without the shiny light patches, which are fine for standard images, but will cause problems. The beauty of JMol is you can generate high resolution images which you can drag back into a JMol window and work on again later (as long as you haven’t edited them). write pngj 2000 2000 "my.png"
Next you need access to decent bitmap graphics application. If you are in a University someone will have a copy of Photoshop (old versions are fine), but otherwise you will have to make do with what you can find. I am almost certain that the original artist would have developed the style he uses with Photoshop. He says he wrote a program himself to automate it, but he could just have well used a Photoshop script (Action) in my opinion. Any, for occasional use, just do it interactively. The first thing to do is to get the outlines on the spheres and make the the colours flat. The former is done with a filter that finds the edges, and the latter by posterizing (reducing the number of colours in the image). I used a filter called ‘Poster Edges’ to produce C. There are sliders which allow you to change the intensity of the edges and degree of posterizing. Finally to reproduce the rather washed out feel of the colours I used the ‘Exposure’ tool (Image > Adjustments > Exposure), but I could have used curves (Image > Adjustments > Curves) or, no doubt, other options. And there you have the final image in D. It doesn't have quite the same posterization as the DNA Helicase illustrated in the question, but if you really wanted that you could experiment. Not the answer you're looking for? 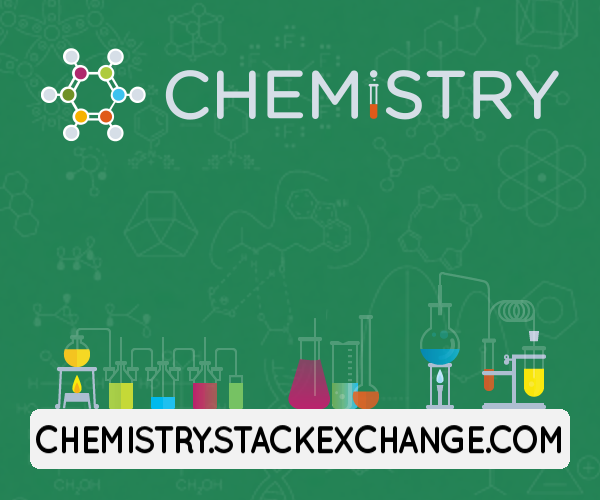 Browse other questions tagged molecular-biology proteins or ask your own question.